LOVE is LOVE and it beats within all of us. 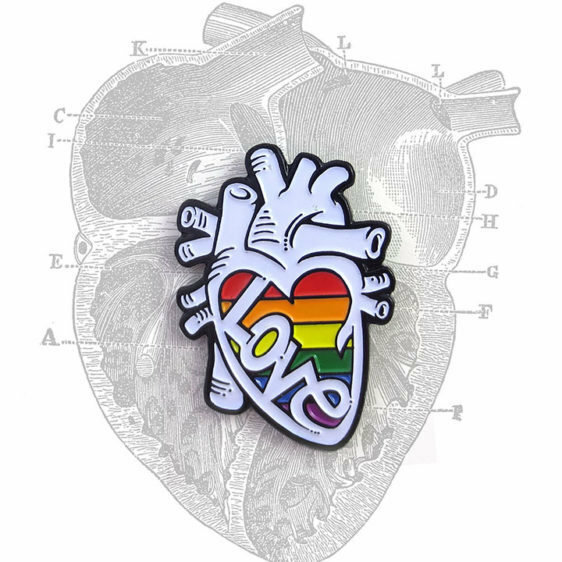 Show your pride for equality with this anatomically correct heart pin! Perfect for your backpack, purse or jacket! 2 pin posts for better placement. Rubber clutches on the back.